Our Lands Speak: Featuring Archaeological Investigations at Queensville Site 1 | Bill Finlayson, Ph.D.
My next five blogs will summarize the excavations at the five farmsteads which are the subject of my new book entitled: The Archaeology of Five Queensville Farmsteads: a 19th century Crossroads Community in the Township of East Gwillimbury, Ontario which has just been published in the Our Lands Speak Series as Volume 2. Let’s take another step back in time together . 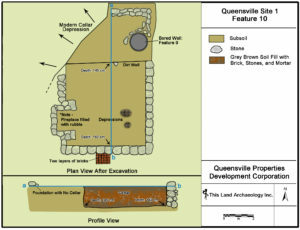 . .
We excavated these sites over a period of 12 years with Queensville Site 1 being the first excavated in 2007 and 2008. Our historical research revealed that Lot 17, Concession 2 had been first settled by Reuben Burr who sold the property to Edward Morton, in 1838, Morton was a medical doctor who owned the property until 1888. Queensville Site 1 is most interesting because Reuben Burr was one of the master builders of the Sharon Temple, a meeting house of the Children of Peace, a sect of Quakers, which was built between 1825 and 1832. It is preserved and operates today as a Museum open to the public. The site is unusual in that it has the remains of two cellars, a small cellar with dirt walls which we interpret as the remains of the first-generation log house built on the property by Burr. 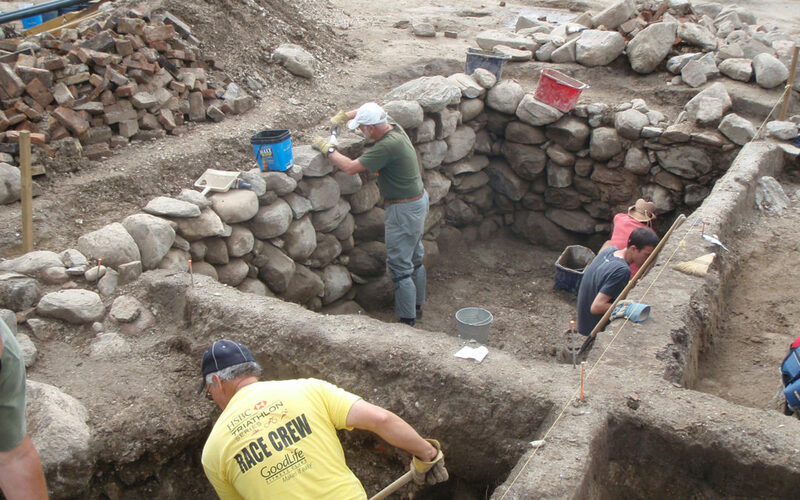 Of greater interest is the stone foundation of the second-generation frame house, which is one of the largest cellars we have excavated over the past 12 years. There was evidence to suggest that the log house continued to be occupied after the construction of the frame house and I believe this suggests that Burr was housing some of the interns he was training and who constructed the timber frame structure which is the core of the Sharon Temple. Another unusual find was the discovery of a medicine bottle hidden between some of the stones in one wall of the cellar. These bottles often contained laudanum, an opium extract, suggesting that the bottle was placed in the cellar wall to hide the use of this drug by one of the occupants of the frame house. Burr is also significant in that he purchased the southern part of Lot 18 and sold it to Ebenezer Doan another of the master builders of the Sharon Temple. Ebenezer sold it to his son Ira who farmed the lot with his son Ezra. 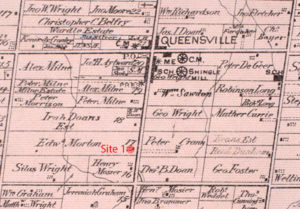 The farm was sold to Edward Morton, a neighbour of Ezra Doan. Ezra kept a detailed diary of his life in 1871, the year before his tragic death. Morton is mentioned in Doan’s diary as one of the neighbours whom Doan could rely on for help with his crops. 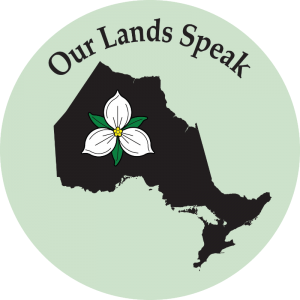 In chapter 7 of my new book, you will find a great summary of other fascinating entries in Doan’s diary at this time, some of which speak about farming the land, producing maple sugar, even firefighting, and trips to the mill and blacksmith shops. 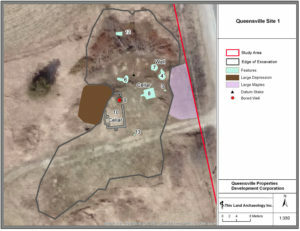 Follow this mini-blog series to learn more about the life and times of those living in this 19th century crossroads community and consider checking out the full-colour print of digital version of The Archaeology of Five Queensville Farmsteads to dig deeper and enjoy the narrative via an enriching visual experience.